When it comes to your style, you could be the guy who wears casual sweats on the regular, a dapper suit and tie, or a pair of ripped jeans with a simple T.
But regardless of the clothes you wear, everyone has something in common: their desire to look good by staying well-groomed. Whether you’ve got a beard, short hair, longer curly locks, or a slicked back look, you’ll want to make sure that you’re using the best, long-lasting products on your hair. Luckily, there’s a popular store where you can get all the essentials you need – MASC Skincare & Grooming for Men. MASC has been Canada’s favourite and most trusted destination for mens premium skin care and grooming products since 2007. You can find everything from Malin+Goetz Eucalyptus deodorant, to hand and body wash by the same brand, AB Crew Oils and Moisturisers, Brickell Mint Soap, Barber & Co Moustache Wax, Baxter of California Clay Effect Style Spray, and much more in store here and online. 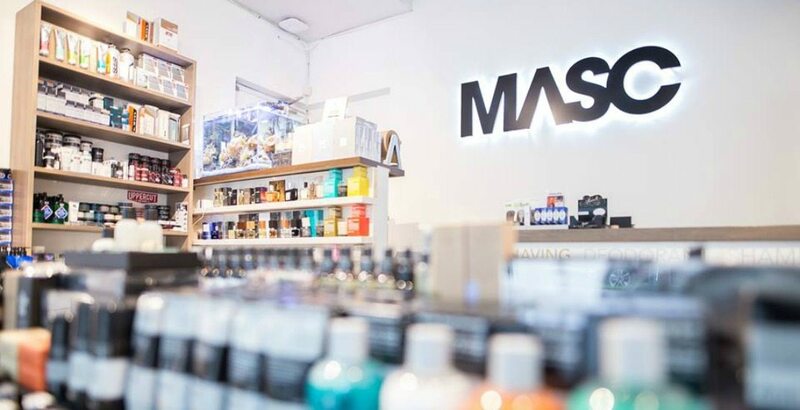 Now Daily Hive has teamed up with MASC Skincare & Grooming for Men to give one lucky reader an amazing prize to use at the store in person or online. It could be you simply by entering the contest below. Enter to win a $250 gift card courtesy of MASC Skincare & Grooming for Men. Follow Masc on Instagram – @shopmasc and leave a comment below telling us once you have. Contest entries will be accepted from the time and date of publishing until 11:59 pm on September 21, 2017. One winner will be chosen at random and contacted through the platform they used to enter. For more information and to browse the products that you could buy online or in store if you win, visit Masc on Twitter, Facebook, and Instagram.